Mr. Bashir has held key Executive positions over the last 18 years in the Insurance and technology sectors in the East Africa Region. He has also been involved in higher education and has taught at the United States International University (USIU) Chandaria School of Business, in Nairobi, Kenya since the year 2001. 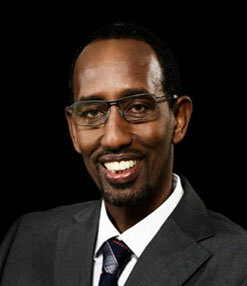 He is the Founder and Group Chief Executive (GCE) of Takaful Africa Group. Takaful Africa Group, is a pioneering risk management and financial services group which has introduced a new and exciting ethical perspective to risk management in the Eastern Africa market. He is an entrepreneur who founded a number of successful companies in the pharmaceutical, ICT, Construction, and financial services industries in East Africa. He has served on the Board of the Association of Kenya Insurers (AKI), Kenya’s Capital Markets Master Plan Steering Committee, Chandaria School of Business Advisory Council, SIMAD University Board of Trustees; and Chairs the Boards of a number of private sector companies. He is an Entrepreneur, Mentor, and Educator. Mr. Bashir holds BSc International Business (IBA) USIU San Diego and MBA (Marketing) from USIU Africa, Nairobi.